BCSE has provided many mods which have enhanced our site. Buy the X-cart Customer Testimonials Mod you see here! Welcome to BCS Engineering! 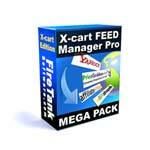 Here you will find a wide variety of X-cart Modifications and X-cart Add on's for your ecommerce site! We carry X-cart Marketing tools, X-cart Product Management tools, X-cart Admin tools, X-cart Customer Navigation tools and more! We also do custom X-cart modifications from simple to complex. Contact us for a quote! Create an account when purchasing and get discounts on future purchases! More info here! Receive exclusive coupons and eCommerce Tips in our monthly newsletter! Buy this for your store!